You may remember back in September I had a cute group of 12-13 year old girls come and sew with me. They wanted to do a service project and thought making a Quilty Hug would be fun. It was a delightful evening and they created this cute little quilt. Each girl sewed a row. Because I didn't have enough machines to have all the girls sewing at one time I had grabbed a giant scrap bin and my Go! Cutter. When the girls were not sewing they were busy pressing and running scraps through the Go! This scrappy quilt is the result of all that cutting. On Wednesday they will have their Young Women in Excellence night. I really wanted to have the quilts they helped with ready for them to display before I gave them away. So happy I was able to squeeze out enough time to get them quilted and bound. Now they will be able to share with their parents what they were able to learn and do and see in what a great job they did. Wonderful, creative and productive and then to be given away, wins all round. They did such a great job with them and will be so happy to see them finished. 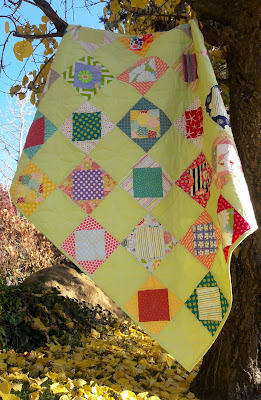 Great cheerful quilts, they did a great job. Thank you for teaching them. Their parents will be thrilled! Came out great. Those are really great quilts - love the fabric choices and colors! 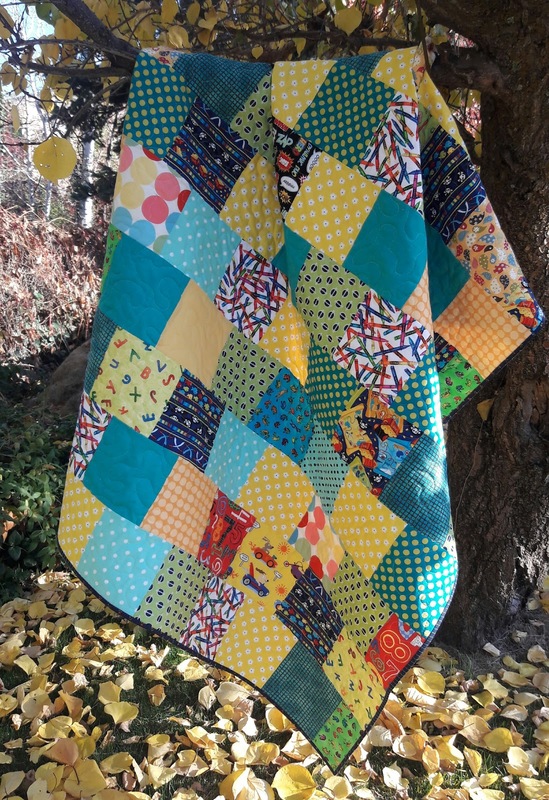 Both quilts are terrific. What a great experience for those young women and how wonderful of you to help and teach them. They'll remember for years and years. How wonderful! They are both lovely. That's a wonderful way to teach and inspire girls. They can point with pride to what they accomplished.